How do I Join the VSCC? (should you wish to pay via direct debit, a mandate can be downloaded here; please complete and return with you membership application form to the above address). New members are approved at each monthly Committee Meeting and immediately following that, you will receive your Membership Pack. Do I need a car to be a member? Absolutely not! Many of our members do not own cars. The most important requirement is an interest in pre-War motoring and motorsport. If you do not own a car there are still many ways to join in either as a spectator at our many events, (Members can get discounted tickets to a number of these [Click here to shop]) or as a marshal [Click here marshalling pages] or simply as an armchair fan reading the Newsletter and the Bulletin. If you are interested in buying a pre-War car then, as a member, you have access to members’ only advertisements in the Newsletter and in the members’ only section of the Club website. I want to find out the History of my vintage car, who could help me? The VSCC has an enormous archive of material that is available to members for research. This ranges from complete or near complete runs of magazines such as The Motor, The Autocar and The Light Car; history and technical books; programmes from VSCC events and much more. 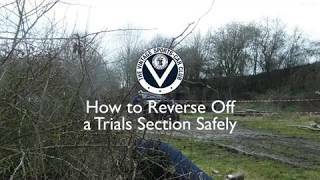 The Club is also able to help members recover registration marks. This archive is available to Club members for personal visits or by phone or email to the Club librarians. In the first instance call (01608 644777 ext 7) or email (library@vscc.co.uk) the Club Librarians who are in the office each Wednesday. What is Eligibility and what is a Buff Form? One of the aims of the VSCC is to promote amateur competition for its members using cars constructed either before 1931, or (in some certain cases) before 1961, or, with permission of the Committee, using a conglomeration of components from specified cars built before 1941. Excluding tours, social events and entrants into the 'champagne class' on rallies, a VSCC member wishing to compete on a Club event will required to do so in an eligible car; additionally cars running in the Invited class at VSCC events do not normally need a VSCC Eligibility Document, although some other recognised form of identification may be required. It should be stressed that eligibility for competitions is quite a different subject to whether a car is Vintage or Post Vintage Thoroughbred (PVT); this has nothing to do with the class of membership. It is clear that unless the rules are implausibly legalistic there will be grey areas. A standing Sub¬-Committee meets to examine such areas. A car's category may be changed at this Sub-committee's discretion but appeal may always be made to the Club’s main Committee. Cloning, i.e. breaking up one car to make two or more cars is not approved and cars manufactured in this way are not acceptable. It is also not acceptable to turn a sports car into a fake Historic Racing Car or a saloon car into a sports or touring car. VSCC eligible cars should also look correct for their respective period. Owners may be required to remove or conceal modern materials, fixings or accessories even where a competitive advantage is not obtained. In applying the rules, cars constructed from a mixture of original and copy parts, providing that such cars fall within the groups described by the Club, are accepted by the Club subject to the Committee's approval. It should be borne in mind that the Club does not accept newly built cars unless they contain a reasonable proportion of original parts. Therefore, once a car has been constructed in this manner, any replacement of any major component by a newly made version must first have the Committee's approval. If the replacement is approved, then the change must be recorded in the VSCC's Eligibility Document. Any person contemplating assembling a car from parts must notify the Committee of the VSCC before starting its construction and should provide a detailed description of its specification. Should the car vary from this specification, the Committee reserves the right to insist on a new application as if the car had not been constructed. It also reserves the right to exclude a car if the final product no longer conforms to the spirit or letter of these regulations. Both while the assembly is in progress and upon completion, the car must be readily available for inspection by any person(s) nominated by the Committee. The issue of a VSCC Eligibility Passport ('Buff Form') for a car is for the VSCC's own regulatory purposes and does not confer on or constitute authenticity to any car, nor does it imply any historical provenance to a car. The VSCC's Eligibility Documents and Passports are not to be used for any trade or commercial purpose. All VSCC Eligibility Documents, past and present, lose all validity on the transfer of the ownership of the vehicle in question. All new owners must make their own applications for eligibility for the car, though earlier applications may be taken into consideration. For anyone new to the VSCC Eligibility process, a Buff Form is a document issued by the Club’s Eligibility Sub-Committee classifying a member’s car as Standard, Modified or Special for the Club’s competitive events with regards to the originality/accuracy of its main components (engine, gearbox, wheels, chassis etc) ensuring the cars that can be seen in action at a VSCC event are as they were in their ‘heyday’. To clarify matters for all parties, no car will be accepted for any VSCC event (excluding tours, social events and the ‘champagne class’ on rallies) unless it holds an up-to-date current Buff Form issued in the name of the current owner. Therefore, if you intend to enter a car that is new to the Club or that has previously held a Buff Form in another name and you have taken ownership, you will have to complete a new application. With regards to the latter scenario, we remind members that just because a car is sold stating that it has a Buff Form, there is no guarantee that another will be issued. All applications must be made with a full set photographs now required so that complete detail of the car can be considered in order to better judge the classification that will apply. There is a continuous flow of applications for Buff Forms that have to be dealt with by the volunteers who patiently undertake this work every week. The number varies but typically we are receiving some 7 or 8 a week. Many are straightforward and can be dealt with quickly but in many cases research has to be carried out and if the individual considering the form is uncertain about anything then it is referred to the next Eligibility Sub-Committee meeting usually held once a month, and the decision made then. As a consequence forms can be delayed up to 7 or 8 weeks before getting back to the owner. We apologise for this but it must be appreciated that the whole Eligibility system is entirely dependent on the time given by volunteer members in their spare time so please be patient. In the past the office have tried to be as accommodating as possible in accepting entries from cars without current buff forms on a “to be accepted “ basis. However this has resulted on occasions with ineligible cars competing at our events with the Eligibility Sub-Committee receiving criticism for allowing this. So in future unless a car has a current buff form issued in the name of the current owner it will not be accepted for competition in events where a Buff Form is required by the Supplementary Regulations. Whilst this may be seen as unnecessary bureaucracy, the Club’s Eligibility Rules are a vital part of VSCC competition and the Club’s heritage; we hope this clarification of the process will make things easier for everyone and allow us to continue to host the very best Pre-war motorsport events for our competitors and members. The Eligibility Sub-Committee are all volunteers and, therefore, do not work at the Club Office during the week. All Eligibility queries regarding new ‘build’ projects, ongoing Buff Form applications etc can be directed to the dedicated Eligibility email address escom@vscc.co.uk. The various members of the Eligibility Sub-Committee can all access this and can respond directly to any member’s queries by this means. Please note any correspondence posted to the Club Office will still be forwarded to the Eligibility Sub-Committee as previously. What Definitions are Used to Describe VSCC Eligible Cars? The date of a car shall be the date of the youngest original major component, namely Chassis, Engine, Gearbox, Front axle and Rear axle. Items of a later date may be substituted without altering the dating of the car if they are identical to those of the original specification. · Racing Car - Cars built for speed events, or sports cars running without the equipment required to qualify as sports cars. · Historic Racing Car - Cars built for the sole purpose of racing, raced in the specified period and approved by the Committee. · Sports Car - Open cars with road equipment to UK legal requirements. This to include wings, windscreen, full size battery, efficient silencer and working lights; these must include two headlamps of appropriate minimum dimensions (a single lamp may be accepted if originally fitted). If originally fitted they must have starter and dynamo. They must have at least two seats and a working reverse gear. · Touring Car - Open cars accepted by the Committee as being touring cars. · Saloon Car - Closed cars including such vehicles as coupes, landaulets and cabriolets running with hood up. · Light Car - Standard small vintage cars of modest performance accepted by the Light Car and Edwardian section. · Three-Wheeler - Three wheeled cars, which have been approved by the Committee. · Historic Special - Historic pre-war specials which retain their original identity. These will be dated according to their latest major modification. · Aero-car - Eligible cars using Aeroplane or Dirigible engines and approved by the Committee. The actual engine to be used must have been manufactured before 1 January 1931. All cars used in road events must be fitted with wings. · Original Specification – As catalogued by the manufacturer for the model in the year of manufacture. · Original Kind - e.g. Leaf, coil. Internal expanding, external contracting, etc. · Original Configuration - e.g. ½ elliptic, ¼ elliptic, transverse, etc. and, updraft, side-draft etc. · Safety. This does not cover modifications designed to make a car "safe" when driven at uncharacteristic speeds. · The fact that such modifications can be shown to have been made on a significant number of that model of car in the period. · Use of different materials from the original may be accepted in specific instances, but this should not be accepted as carte blanche. All alterations to materials must be by Committee approval. Such exceptions must be approved by the Committee and given in writing. Such approval does NOT give a precedent for any other car. Specialised guidelines are available from the Club office for some makes of car, e.g. Austin 7, BMW, Fiat Balilla. It should be noted that cars prepared in accordance with the VSCC technical regulations may not necessarily be eligible to have a FIA Historic Technical Passport issued. For the FIA form to be issued, cars must comply with the regulations in appendix "K" of the FIA Yearbook of Automobile Sport. Racing and Sports-racing cars are defined as 'cars manufactured from 1 January 1941 to 31 December 1960'. Only the following cars are eligible to compete in races organised by the VSCC. Group 1 Single-seat racing cars of more than 900cc and of two or more cylinders manufactured from 1 January 1941 to 31 December 1953 conforming to AIACR and FlA (CSI) International Racing Car Formulae in force in the above period. Group 2 Front engined single seat racing cars, Formula 1 and 2, conforming to the FlA (CSI) International Racing Car Formulae in force from 1 January 1954 to the 31 December 1960 and cars which competed in Formula Libre events over the same period. Group 3 Post-war racing cars of historic importance or particular interest which competed on or before 31 December 1960. Hill Climb and Sprint cars may be included provided they competed in period in National or International events but such acceptance is at the Committee's discretion. Group 4 Single-seat racing cars of the type described in Groups I and 2 which do not have a traceable history. In the case of Group I cars, those built up to 1953 or, in the case of Group 2 and Group 5 cars, those built up to 1960. All Group 4 cars must be individually approved by the Committee. Inspection by the Club's appointed representative is an essential condition of acceptance for competition in VSCC events. Group 5 Front engine single seat F3 cars and front engine Formula Junior cars, conforming to the FIA International Racing Car Formulae in force from 1 January 1954 to 31 December 1960. (Invited) Invited single-seat rear engine racing cars conforming to an FIA International Racing Car Formula in force from January 1954 to 31 December 1960. (Invited) Invited Sports Racing Cars built from 1 January 1941 to 31 December 1960. Which Tyres Can I Use in Race and Speed Events? Following questions from competitors about the relative hardness of tyres being used in competition, Committee decided that it needed to have an approved tyre list for Race and Speed events. The main reason behind the move was that the VSCC Eligibility Regulations listed a standard that was impossible to assess and therefore to enforce. There was concern that the previous regulation allowed for (unspecified), modern (cross-ply) road tyres with compounds softer than the Dunlop 204 compound to be used in Race and Speed Competition. At the April 2011 Committee Meeting it was agreed that the word "competition" should be removed from the wording in the rules so that it now states "no tyres to be used of a compound softer than Dunlop 204". This was notified to the membership on line and in the June and July Newsletters. It was to be immediately effective but it was also recognised that there was no way of knowing which tyres complied and which did not. Accordingly it was made clear to competitors that, though the rule had been changed enforcement would be effected by means of an approved tyre list rather than ‘on-the-ground’ testing. In addition the Dunlop Sidecar Tyre used on many Austin 7 cars, although softer than all of the above, is given exemption status for Austin 7s and may be used in VSCC competition until such time as a suitable and compliant alternative is available at which time a period of grace be allowed to ‘use–up’ remaining tyre life on those in use. If you are running tyres that are not on this list, you should ask for them to be considered so that they might be added. Do you have any Eligibility Forms or Guidelines I can download? Yes we do, please click on the below guide to download. From its roots in 1934, the Vintage Sports-Car Club quickly found its feet in representing sports cars built to a quality defined by a period. The question of the age of eligible cars is one which proved to be pivotal to the continuing history of the Club. Initially it was intended that the five-year-old rule would be on a rolling date basis and that in, say, 1937 a 1932 car would be allowed to compete. However it did not take long for this to change. At the Annual General Meeting in January 1936 the Captain, Tim Carson proposed that “During 1936, driving membership of the Club should be limited to owners of cars manufactured prior to 31st Dec 1930”. He went on to suggest that unless the membership numbers declined, the limit should be kept at 31st Dec 1930. Press Secretary, Cecil Clutton, said that he favoured 1930 as the limit year because it marked a definite period in motor car manufacture and that from 1930 onwards a new type of [mass produced] sports-car had become popular, a type which was not particularly desired in the Club. One member complained that if the proposed alteration to the rules were carried, the cars in the Club would eventually become so old that they would disintegrate and that if a later date were not subsequently adopted the membership of the Club would decrease. Captain A W Phillips of the Royal Automobile Club, even then the rule makers of motor sport, was not present but was quoted as saying that he considered it absolutely essential for the well-being of the Club that the year of eligibility for driving membership should not be advanced. There was further debate around the subject before a vote was taken which resulted in 23 – 5 votes in favour of keeping the date at 31 December 1930 and thus establishing the identity a Vintage Car and of the Club as it was then and as it still exists today. What Makes a Car VSCC 'Standard', 'Modified', or 'Special'? Must be to the original specification. Must be of the original type. Local stiffening is allowed. Wheelbase may be altered but must be as offered by the manufacturer in the relevant period for that model. Position and method of fixing of the axles, engine, steering box and gearbox may not be changed. Position and height of the radiator may not be changed. Must be from an eligible car or of the same design. Position and method of fixing of axles, engine, gearbox, steering box and radiator can be changed. Wheelbase may be altered. Stiffening or boxing is allowed, but this may change the period definition of the car. Must be to the original specification. Must be of the original type. Must be appropriate to the period of the car. Must be to the original specification. Must be of the original kind and size. Hydraulic conversion allowed. Separate front and rear systems may be linked. Transmission brakes may be rendered inoperative. Front brakes may be fitted, but Edwardian cars converted to front wheel brakes will be reclassified as Vintage. May be modified, converted to hydraulic or increased in size. Transmission brakes may be removed or rendered inoperative. Front brakes may be fitted, but Edwardian cars converted to front wheel brakes will be reclassified as Vintage. Disc brakes and "fiddle brakes" are not allowed on any car. NB. The car may not be modified to give negative wheel camber. Must be to the original specification with axle ratio as catalogued by the manufacturer for that model in the relevant period. Must be of the original type. Axle ratio may be altered. Must be from an eligible car. Axle ratio may be altered. Locked axles are only permitted where they were original equipment. Limited slip differentials are only allowed on Post Vintage racing cars where fitted as original equipment and of the original type. Must be to the original specification. Up to 5% rebore is permitted which will not alter the nominal capacity. Larger rebore not allowed. Stroke may not be altered. Non standard oil coolers not allowed. Oil filters may be fitted or altered. Must be of the original type. Up to 5% rebore is allowed without altering the nominal capacity. Any greater rebore and the car must run at its actual capacity. Such rebore must be within the limits of the original block casting. The stroke may not be altered. Oil filters or coolers may be fitted or altered. Camshafts, valves, connecting rods, crankshaft, lubrication system, may be altered but such modifications must properly reflect the period of the car. Must be from an eligible vehicle (pre 1931 commercial, motorcycle, marine, aeroplane or dirigible engines may be used.). Rebore up to 5% is permitted without altering the nominal capacity. Any greater rebore will mean that the car must run at its actual capacity. Such rebore must be within the limits permitted by the original block casting. Firing order may be altered. All modifications must properly reflect the period of the car. Any pre-war ignition system is allowed. No solid state electronic ignition or other engine management system is allowed on any pre-1941 car. Must be to the original specification, number, size and configuration. Number of carburettors may be increased by one. Kind and size of carburettor may be changed. Any number or kind of pre 1941 designed carburettors may be used. An alternative period carburettor of the same size as the original and appropriate to the year of the car may be accepted if fitted on the existing manifold in the same orientation as the original. Specific approval must be obtained. S.U. or Amal carburettors with separate float chambers may be used but if of a post 1940 design must be concealed within the bodywork. No other make of post 1940 carburettor may be used. Must be of the original type. Pre-war type electromechanical SU fuel pumps are accepted as standard vintage. Any pre 1941 system is allowed. Any pre 1941 system is allowed. Must be to the original specification. May be altered but must be of a design and appearance strictly appropriate to the period and type of car, e.g. ; modern tuned length exhaust systems are not allowed. Exhaust manifolds must be within the bonnet, unless otherwise provided by, or available from, the manufacturer in the period. May be altered, but must be of design and appearance appropriate to the period of the car, e.g. ; modern tuned length exhaust systems are not allowed. Must be to the original specification. Must be of an original kind. (See below) Must be of a pre-1941 style. The use of any supercharger not listed in Appendix A must be specifically approved in writing by the Committee. It is mandatory that, where a member wishes to use a supercharger that requires modifications according to our rules or a newly manufactured supercharger, they must seek acceptance and clarification from the Club prior to fitment. If a supercharger built in period but not listed below is available it is essential that approval is sought. Any approval given for the use of a supercharger not listed, applies to that specific application only and does not create any precedent for a similar supercharger to be fitted to any other car. Plus car manufacturers' own period superchargers and other units proved to have been manufactured in the Vintage period. · Wade: requires modification to inlet and exhaust to disguise the parallelogram opening. (There are different models of Wade supercharger. On some the modifications needed are so extensive as to make this impracticable without a new case). Advice should be sought. · Volumex: requires modification to remove plastic pipes and fit suitable aluminium end plates. Plus car manufacturers' own period superchargers and other units proved to have been manufactured in the period. Replica Cozette, Zoller, Power Plus and Centric, together with certain Roots design superchargers of new manufacture, are permitted on Vintage and PVT cars, as appropriate, with prior Committee approval. · Vintage: Chain, dog, gear (bevel, spiral, pinion) or shaft. · PVT: As Vintage plus one or more seperate v-belts, epicyclic, quill shaft and hydraulic. Toothed and multi v-belts cannot be used for this or any other purpose. Must be to the original specification. (See above) Must be of an original kind. Toothed belts may not be used for this or any other purpose. Must be to the original specification with original ratios. Must be of the original type. Ratios may be changed. Must be from an eligible car and retain the original method of engagement. Ratios may be changed. All cars must be fitted with a reverse gear and have no more speeds than originally contained in the gearbox. Must be to the original specification. Any clutch may be used. Any clutch may be used. Must be to the original specification. Must be of the original kind and appropriate to the period of the car. Additional dampers of the appropriate period may be fitted. Any number or kind of pre-1941 design of shock absorber is allowed. Must be to the original specification or a strictly accurate copy of an original fitted to the model in the period. It must be constructed in the original manner and with original materials. Must be appropriate to the make and model of the car. Uncharacteristic lightweight style or construction will change the classification of the car. Appearance, construction of the body and the appearance and construction of the detail equipment must be appropriate to the period of the car. Wings must always cover the full width of the tyre and, unless a copy of the original, must give adequate protection from spray: i.e. the arc of wing must sub tend an angle of not less than 90º. Must be to the original specification. Rims for beaded edge or straight sided lyres may be changed to well-base in accordance with Appendix B. Must be of the original type. The diameter may be increased or decreased by 10%. The rim section may be increased by ½" except that for racing cars competing in race or speed events the rim section may be increased by 1". Wheels may also be altered in size to allow the use of well-base tyres (See Appendix B). Vintage cars up to 1100cc capacity may use wheels of 400mm/16" or larger. Other vintage cars must use 18" or larger wheels. PVT cars must use wheels of 400mm or larger. Max rim section 5½". Post-1930 Austin 7 racing cars may use wheels of 15" diameter, rim width 4". For a Modified or Special car based on a type originally fitted with beaded-edge or straight-sided tyres, the well-base equivalent of those tyres, shown above, should be used to calculate allowable modifications. Must be to the original specification. Must not be more than I" greater than the original track of the model concerned. Must not be more than 2" greater than is the standard track for the axle concerned. Must be to the original specification. But a change from beaded edge or straight sided tyres to well-base types is allowed in accordance with Appendix B. There must not be more than 1" difference in section from the original specification. Change from beaded edge or straight sided tyres to well-base is allowed in accordance with Appendix B. 15" tyres, where permitted, must not be more than 145mm or 4.5 nominal section. Other tyres must not be more than 7" section. 1. Radial Tyres are not permitted. 2. Motor cycle tyres of low profile or of triangular cross section are not permitted. There are special regulations for three wheelers available from the Office. 3. For Race and Speed events, tyres listed on the Club’s approved tyre list are the only ones that may be used. Such list will be published with event regulations. 4. Tyres on cars taking part in competitive Trials must have a tread pattern such that the blocks are not more than 10mm deep nor more than 10mm apart laterally or circumferentially. There must not be an uninterrupted lateral gap between the side blocks. Off-road, trail, trial, enduro or town and country types of tyre are not permitted. 5. The enhancing of the tread pattern by re-cutting is not allowed. 6. Radial tyres are not permitted except for certain post vintage models as agreed by the Committee. 7. No tyre compound softer than Dunlop 204 or equivelant may be used. Any dynamo or starter motor may be used. Alternators are not allowed in VSCC competitions. This paragraph does not apply to cars fitted with a high ratio "overdrive" top gear as standard. Overdrive units may not be fitted. Overdrives, if fitted, must be capable of being disconnected for competition and must always be so disconnected to the scrutineer's satisfaction. Overdrives, if fitted, must be capable of being disconnected for competition and must always be so disconnected to the scrutineer's satisfaction. Overdrive units are not permitted on cars in trials, whether capable of being disconnected or not. The Vintage Sports-Car Club (VSCC) is the UKs largest promoter of historic motorsport and organises over 35 events each tear. These include 5 major race meetings at some of the UK's best circuits; hillclimbs at venues such as Prescott, Loton Park and Wiscombe Park, sprints at Brooklands and Goodwood together with navigational rallies, tours and many social events. What is a Vintage Sports-Car? There are any number of definitions of the term ‘Vintage’ even when applied only to motor cars the following information is more accurately ‘a’ definition rather than ‘the’ definition. That said, this definition is that recognised by both the Motor Sports Association (MSA) and the FIA who are the respectively the governing bodies of motor sport in the UK and internationally. A – (Veteran) Cars built before 1 Jan 1905. B – (Edwardian) Cars built between 1 Jan1905 and 31 Dec 1918. C – (Vintage) Cars built between 1 Jan 1919 and 31 Dec 1930. D – (Post Vintage Thoroughbred) Cars built between 1 Jan 1931 and 31 Dec 1946. E – Cars built between 1 Jan 1947 and 31 Dec 1961 (up to 31 Dec 1960 for single-seater and two-seater racing cars). F – Cars built between 1 Jan 1962 and 31 Dec 1965 (from 1 Jan 1961 for single-seater and two-seater racing cars and up to 31 Dec 1966 for Formula 2). G – Cars built between 1 Jan 1966 (1 Jan 1964 for Formula 3) and 31 Dec 1971 that are no longer eligible for current Competition. H – Cars built between 1 Jan 1972 and 31 Dec 1976 that are no longer eligible for current Competition. The VSCC uses the same definition for Vintage but will accept, as suitable for ‘driving’ membership, all cars built before and including 31 Dec 1930. Even though this is now widely accepted it was, in fact, the VSCC that set this date, early in its history. The intention when the Club was started was merely to ensure a car was of a certain age before being accepted for competition rather than to set a fixed date in history after which a car would not be accepted. The question of the age of eligible cars is one which proved to be pivotal to the continuing history of the Club. Initially it was intended that a five-year-old rule would be on a rolling date basis and that in, say, 1937 a 1932 car would be allowed to compete. However it did not take long for this to change. At the Annual General Meeting in January 1936 the Captain, Tim Carson, proposed that “During 1936, driving membership of the Club should be limited to owners of cars manufactured prior to 31st Dec 1930”. He went on to suggest that unless the membership numbers declined, the limit should be kept at 31st Dec 1930. Press Secretary, Cecil Clutton, said that he favoured 1930 as the limit year because it marked a definite period in motor car manufacture and that from 1930 onwards a new type of (mass produced) sports-car had become popular, a type which was not particularly desired in the Club. One member complained that if the proposed alteration to the rules were carried, the cars in the Club would eventually become so old that they would disintegrate and that if a later date were not subsequently adopted the membership of the Club would decrease. Captain A W Phillips of the Royal Automobile Club, even then the rule makers of motor sport, was not present but was quoted as saying that he considered it absolutely essential for the well-being of the Club that the year of eligibility for driving membership should not be advanced. There was further debate around the subject before a vote was taken which resulted in 23 – 5 votes in favour of keeping the date at 31 December 1930 and thus establishing the identity of the Club as it was then and as it still exists today. In addition other cars may be accepted at the discretion of the Committee. The PVT list is a constant source of debate! Open cars with road equipment to UK legal requirements. This to include wings, windscreen, full size battery, efficient silencer and working lights; these must include two headlamps of appropriate minimum dimensions (a single lamp may be accepted if originally fitted). If originally fitted they must have starter and dynamo. They must have at least two seats and a working reverse gear. So, as you can see there is no easy answer to the question. It must be stressed that you do not need to have a Vintage or PVT car to join the Club and you do not need to have an eligibility document for a VSCC car unless you intend to compete with it. For example, any Pre-1931 car will be acceptable for ‘driving’ membership of the Club but some of these may not be suitable for competition and would not be issued with an eligibility document. How do I view photos from recent events? Normally a news item will be published when results and photographs from an event are available to view on-line. The news item will carry a link to the event page and the photographs are displayed at the bottom of that page. Click on the Events tab at the top of the page. Usually this will display forthcoming events so, to find recent events use the EVENT FILTER pop-up that appears at the top right of the Events listing. Use the filter to select the event or events that you wish to see photos from. You can narrow the search by Event Type, Public or member only, the year and the month in a year. In the ‘Year’ field you will need to change ‘Upcoming’ to the year you are looking for. The events list will be filtered and show you events as requested by your own filter choices. Select an event from this list and the photos from that event are at the bottom of the page. Click on an image to enlarge it and then you can scroll through all the posted photos from that event. Does the Club have a Child Protection Policy and what jobs can young marshals do? 3.7.1 What is Child Abuse? 3.11Where can I get further help? 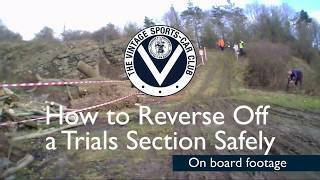 The VSCC has in place a Child Protection Policy for the support of its coaches, instructors and volunteers, and will maintain the professionalism and safeguards of good practice, which are associated with our sport. It provides a framework on the recruitment, selection, suitability and deployment of individuals working with young people. It acknowledges that abuse does take place in sport and that raising awareness and understanding of the main forms of abuse and establishing communication and reporting procedures if abuse is suspected will further safeguard the young drivers, coaches, instructors and all others working within Motor Sport. The Policy and Guidelines as agreed are seen as a live document, capable of being reviewed and amended according to need on an ongoing basis. For the sake of continuity and consistency, any review period other than that occasioned by changes in the enabling Act(s) should not be less than one year. The VSCC welcomes any written comments or suggestions regarding the Policy and Guidelines, and their application, at any time. Following open review and the assessment of the perceived risks, this policy is regarded as ‘best practice’ in dealing with Officials who are aged 17 or under and who attend a MSA permitted motor sport event as a marshal. The policy make a distinction between those aged between their 13th and 16th birthdays and those aged between their 16th and 18th birthdays at the date of the event. A Cadet Marshal (Cadet) is presumed to be any young person acting as a marshal at a MSA permitted motor sport event who is between their 13th and 16th birthdays at the date of the event. No Official who is aged 13 or under will be permitted to sign on. All marshals that are under 18 years of age must be signed on using an under 18 signing‐on form, which must be countersigned by the marshal’s parent or guardian. Should an under 18 signing‐on form not be available at signing‐on, then the parent or guardian must sign next to their entry on the standard signing‐on form. In cases where a parent or guardian is unable to attend the event, the young person may still attend with another adult provided that the adult has written authority from the young person’s parent or guardian to act as a “temporary carer” for the duration of the event. The Under 18 Marshal Consent Form should be used to provide this authority and to delegate medical consent. Note that this form is valid for one named event only, but includes duties performed at multiple locations during that event – marshalling at a number of different events requires a form to be completed for each event. The named temporary carer must counter sign the signing‐on form at the event. 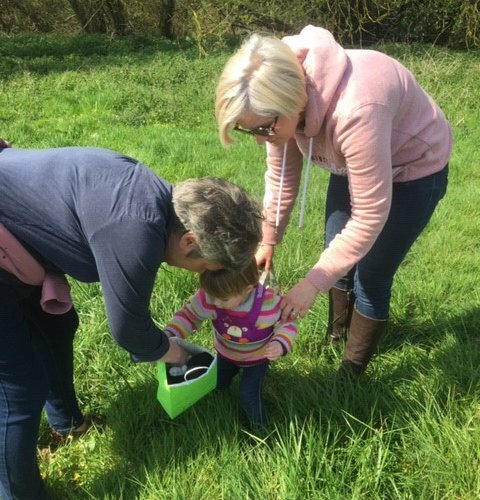 The parent/guardian or temporary carer in attendance at the event has the responsibility to ensure the adequate supervision of the young person throughout the event. Cadet Marshals must be appropriately supervised by a parent/guardian or temporary carer when they are in any area other than a formal spectator area or in an area to which spectators have access. Cadet Marshals are not to be located in trackside positions at any type of event. Cadets are encouraged to undertake as many roles as practicable as long as they remain in the areas indicated. Cadet marshals who are aged13, 14 and 15 will be accepted to work only in the Paddock, the Assembly Area, Parc Fermé or any other area which is recognised as not forming part of the race track (i.e. areas where vehicles are moving at less than 10mph and / or under the control of other Officials). Young Officials who are aged 16 and 17 will be accepted for work in the same areas as cadet marshals as above, plus, they will be accepted to work at a Marshals Post on the Bank provided that the Official in question NEVER comes forward of the first line of defence (i.e. the Armco Barrier) when competition traffic is on track or circulating. 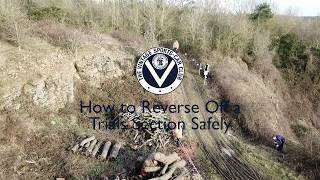 Further, any Official who is aged 16 and 17 is to be immediately removed by their supervisor from the vicinity of any serious accident to another place of safety. d. The Official in question receives a valid counter-signature of one of the above at sign-on. The VSCC will not accept responsibility for any Official aged 17 or under who does comply fully with the above and will not permit such persons to sign-on. Equally, VSCC Employed Staff are not permitted to accept any form of responsibility ‘in loco parentis’. Meeting time and place: …………………………………………………………………………………..
Young person’s home contact details: ………………………………………………………………………. Name of adult to act as temporary carer: (if applicable) ……………………………………………………. I have read and understand the consent process requirements above and agree to the above named young person acting as a volunteer official on this event. Furthermore, where applicable, I agree that the above named adult may act as temporary carer (as referred to in the MSA Under 18 Marshal Policies) for the duration of the event. If it becomes necessary for the above named young person to receive medical treatment, and I cannot be contacted to authorise this, I hereby give my general consent to any necessary medical treatment and, where applicable, authorise the temporary carer to sign any document required by the hospital authorities. Note: The medical profession takes the view that the parent/guardian consent to medical treatment cannot be delegated. This is explicit in The Children’s Act 1989. Thus, medical consent forms have no legal status and a doctor or nurse insisting on the consent of a parent/guardian to a particular treatment has the right to do so. However, it can be a comfort to medical staff to have general consent in advance from parents/guardians or to have a temporary carer on hand able to sign forms required by medical authorities. The table provides examples of what areas and/or roles are generally considered appropriate for Cadet Marshals. This list is not exhaustive – actual duties which are considered appropriate will vary according to the nature, type and location of event, as will the nature of direct or indirect supervision required. What is the Clubs Refund Policy for Entry Fees? Race regulations will be updated to reflect the change in policy. Exceptions to the policy will continue to be considered on a case by case basis by the Competition Secretary. I would like to compete in VSCC events. How do I start? Click HERE to visit our Join In pages, which include our comprehensive guide to competing with the Club. The guide includes information on the equipment and licences required for each Motorsport discipline on offer with the VSCC. How do I enter VSCC events? Entering online is the fastest and easiest method to enter a VSCC event. Over 75% of our event entries are made online. To enter online you must have registered a credit or debit card with the Club Office (please call 01608 644777 Ext 2 to register your card) and know the Buff Form number of the car you intend to enter (this must be up-to-date and in the car's current owner's name). You can access the Online Entry System from either the Events List page (HERE) or from each individual Event page. On clicking 'Enter Event' next to the relevant VSCC event, you will be given the option to download the Entry Form and Supplementary Regulations or to enter online. Click the latter and simply follow the on screen instructions. If you choose to download and print off hard-copy, simply complete the Entry Form in its entirety, which can then be posted, faxed or emailed back to the Office with relevant payment. Alternatively you can send the Competitions Department a stamped addressed envelope with the event name in the top left corner and we will happily send you the Entry Form and Supplementary Regulations once they become available. You can do this in advance for all of our events. How do I know if my entry has been received/accepted? If you enter online you will receive an acknowledgment of your entry almost straight away by email to your registered email address. 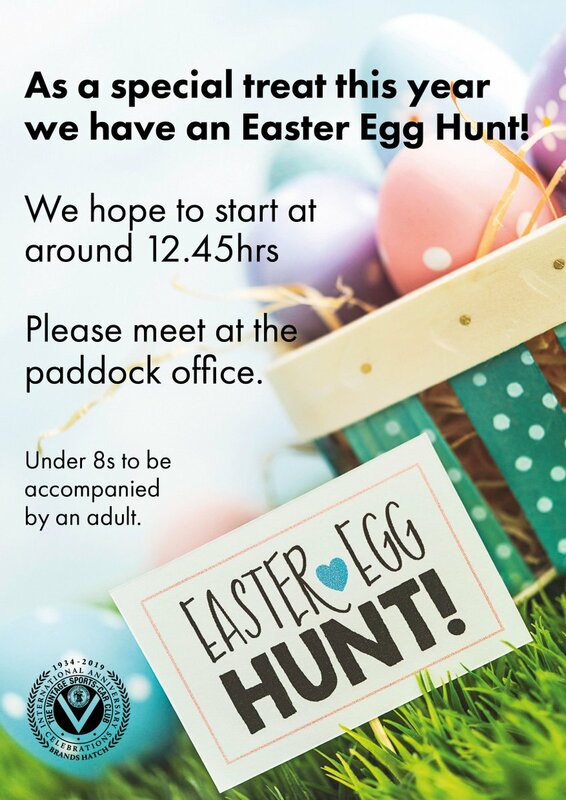 If you sent your entry form to the Office you will receive an acknowledgement by post within 7 days. Your entry acknowledgement will advise if your entry status is CONFIRMED or PENDING. The Regulations for each event will stipulate the percentage of the maximum entry which is allocated on a first come first served basis. If you are in this percentage your entry is CONFIRMED, which means you are guaranetted an entry for the event. 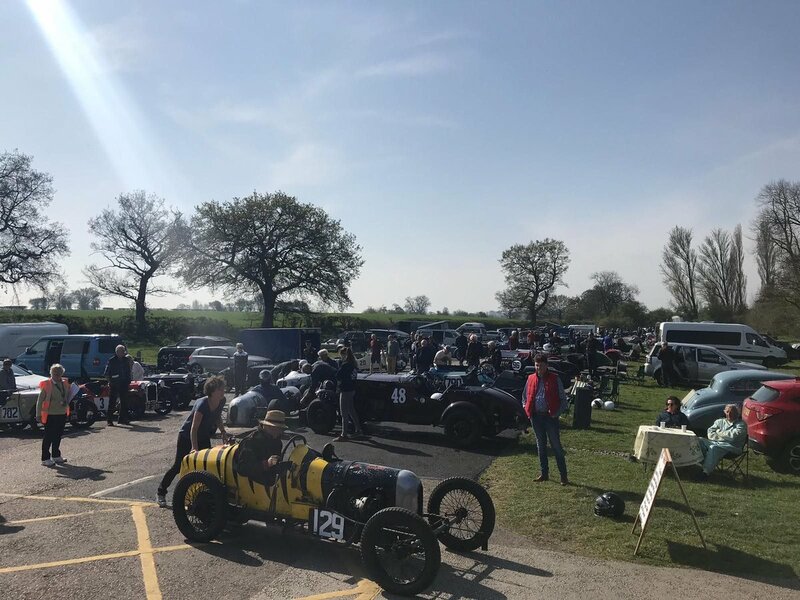 If you are in the final number of entries and your confirmation email or card advises a PENDING status, this means that shoudl the event become over subscribed you will be subject to the VSCC selection process. Entries are selected as soon as possible after the closing date and acceptance of entry is confirmed by receipt of Competitors' Instructions (by Post for ticketed events such as Race Meetings or by Email for non-ticketed events such as Trials). If an event is oversubscribed, Rejections may need to be made - these will always be made by post at the earliest opportunity. For full details of the VSCC selection process, please click HERE. Where can I find the timetable for a forthcoming event? If you are competing or marshalling at an event the detailed timetable will be included in your Competitors' or Marshals' Instructions which are sent approximately ten days prior to the event taking place. Approximate timings will be published in the Club’s Newsletter in the months leading up to the event. Each individual Event page on the website will be updated with the timetable and latest information as it becomes available so check these pages regularly. Race meetings all follow a similar format with practice sessions in the morning from 9am, a lunch break of an hour followed by the races in the afternoon from 1pm. 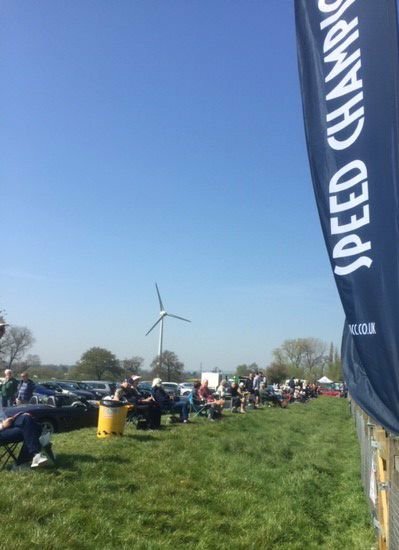 Similarly, Sprints and Hill Climbs will commence from 9am with two practice runs per competitor in Class order before lunch, followed by two Competitive Runs in the afternoon. These times are a guide and may be slightly different depending on the circuit/venue or event programme. Other than the track action, what else is there to do at public events? Unlike at other major motor sport events, paddock access is included in the admission price with the VSCC and here you can get up close and personal to the competing cars and drivers. Our competitors, providing they aren’t working on their car, are always happy to chat to spectators about their prized possessions and the history they may have. At all of our public events there are trade stands to explore and barter for a bargain. The stands vary from car parts and racing accessories to motoring books and photographs. 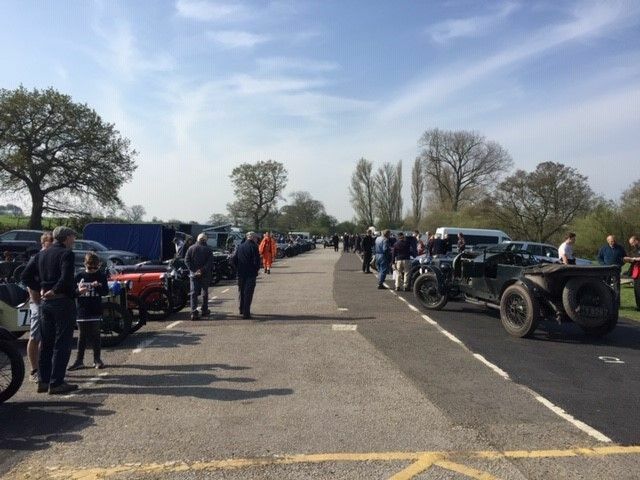 At a number of public events we group spectators cars together in period groups, Pre-war, modern classics etc. These can be a spectacle in themselves and always worth a wander round to spot those rare beauties that are seldom seen other than at VSCC events. And at all the Race and Speed venues have good catering and bar facilities to satisfy hungry and thirsty mouths of all ages. The VSCC Club Display can be found in the paddock at public events. Here you can chat to Club Directors and volunteers about anything to do with the Club. You can also view, try-on or purchase our extensive range of Club Regalia. At all of our public events we produce and comprehensive event programme which is on sale from the Club Display and from roaming Sellers. The content includes the full race programme listing the cars and drivers by number, which races they are in and the race details; editorial features on some of the competing cars and drivers, forthcoming events, a list of the trade stands at the event and whole lot more. Results are published as soon as possible after an event weekend, usuall by midday on the following Monday. Complete Results can be downloaded (PDF) from each individual Event page by clicking on the Results tab or alternatively contact the Competition Department and we will be happy to email/post you a copy. For all Speed events (Sprints and Hill Climbs), Trials, Rallies and Driving Tests, results will remain Provisional for 7 days following publication, during which time competitors are within their rights to raise any queries with the Secretary of the Meeting. At the end of this period, Results are made Final and cannot be changed. At a Race Meeting, results remain Provisional for 30 minutes following the conclusion of each race, when a competitor can approach the event’s Clerk of the Course with any objection. The results for each race then become Final and a complete set of results are made available to download from this webpage as soon as possible. What do the MSA regulations say about it? How do you select the entrants? This then brings us to the method by which entries are accepted and, to be blunt, our discretion in selecting them. We always try to be as fair as is reasonably possible under the prevailing circumstances and we always date stamp every entry which we receive. Not that getting your entry in early will necessarily give you priority; the point of having a closing date is to give the organiser time to organise the entry for an event. All other things being equal, anybody who gets an entry to us before the closing date shall have an equal opportunity of gaining an entry. Our first priority will always be to preserve ‘the fabric of the meeting’ by having balanced classes, full grids and the like, depending on the type of meeting. It could be, for example, that one class is heavily subscribed whereas another class does not meet the minimum number required to run the class. At public meetings ‘well known’ cars might deserve precedence. In such circumstances it would be appropriate to apply objective or reasoned judgment as to which entries should take priority. This is, of course, academic if the maximum number of entries is not reached. Whatever system is used, it is unlikely to be foolproof and occasionally it will go wrong so that some people appear to have been overlooked; mistakes can, and will, happen whatever criteria are set. Should an event be over-subscribed, it is the duty of the Secretary to the Meeting to accept or refuse entries as appropriate. We cannot exceed the maximum number of entries allowed and, whatever we do, somebody is going to be disappointed. Every entry received up to and including the closing date will have an equal chance of success unless we specify otherwise in the Supplementary Regulations and, if we do have to reject somebody, it will be done as soon as possible after the closing date and the unsuccessful entrant will be notified, by letter, email, or both as soon as possible. 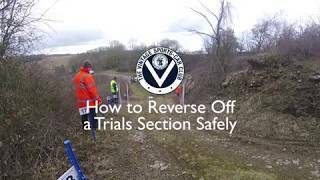 It will be incumbent on entrants to note on their entry form any recent marshalling duties and any further information to support their entry i.e. first event, significant rebuild has just been completed, it’s my 70th birthday and there is a party at the event for me etc. Championship contenders (both formal championships and Club aggregate awards). This will have little effect at the start of the season. Those previously rejected from the event or similar events within the previous year. Those with a guaranteed entry by dint of special circumstances or other right. Entry received after the closing date for entries. Other measured response (e.g Risk Assessment). Those who regularly provide voluntary assistance to the Club’s events, i.e. those who marshal, Directors and sponsors. For marshals this will normally mean those who were invited to the Marshals’ Dinner in that year based on the previous year’s marshalling activity. These criteria are those that require a certain amount of judgment and which may vary between public/closed to member events, are perhaps aesthetic in their influence, or which are otherwise discretionary. As judgmental criteria a degree of subjectivity is expected and, depending on the type of event, some may either enhance or diminish the chances of success of a particular entry. It is therefore possible that their use may result in either Acceptance or Rejection and, as such, they are not categorized in that way. They include: Cars/Drivers that are of high interest to the general public (Public meetings only) Cars of significant historic interest Entries that can help balance the full entry across all classes catered for Encouraging new members where appropriate Encouraging under represented marques/limiting popular marques Double Drives as appropriate and as permitted by venue/SRs. Factors might include: More entries for less paddock space Interesting pairings, e.g. Father/son, previous/present owner combinations Event specific, e.g. 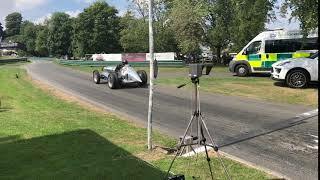 Bugattis at Prescott, marque celebrations and the like. Methodology of selecting entrants in an oversubscribed event. Essentially, an entry can be rejected or accepted at any level without further referral. For example, if a rejection criteria at level one is met then there is no need to examine the lower criteria, and so on. a. Level 1 Decision. Only level 1 criteria have an absolute effect on the accept/reject decision. If an entry is to be accepted because of a level 1 criteria then it will automatically be included, possibly with a special effort to overcome even a level 1 rejection criteria. Conversely, rejection at this level is absolute. b. Level 2 Decision. If none of the level 1 criteria apply then the level 2 criteria will come into play. c. Level 3 Decision. Only if acceptance at level 1 and level 2 is not met will level 3 criteria apply. In truth this is the area of greatest subjectivity and the possibility of ‘debatable cases’ and ‘it’s not fair’ accusations might apply. However, it is to be hoped that absolute decisions at level 1, publicity of these criteria and a better understanding of the processes involved will reduce the number of complaints and queries. Because of certain difficulties with the DVLA, related to applications by some other motor clubs that the DVLA considered questionable, the Commitee decided mid-2014 that the Club would cease automatically passing every application and instead, direct members to the appropriate one-make club. The following website gives details of all the clubs that are authorised to authenticate application, which you may be able to use to assist any members in similar situations. The Club is aware that our details are contained within the document; the above message overwrites this.